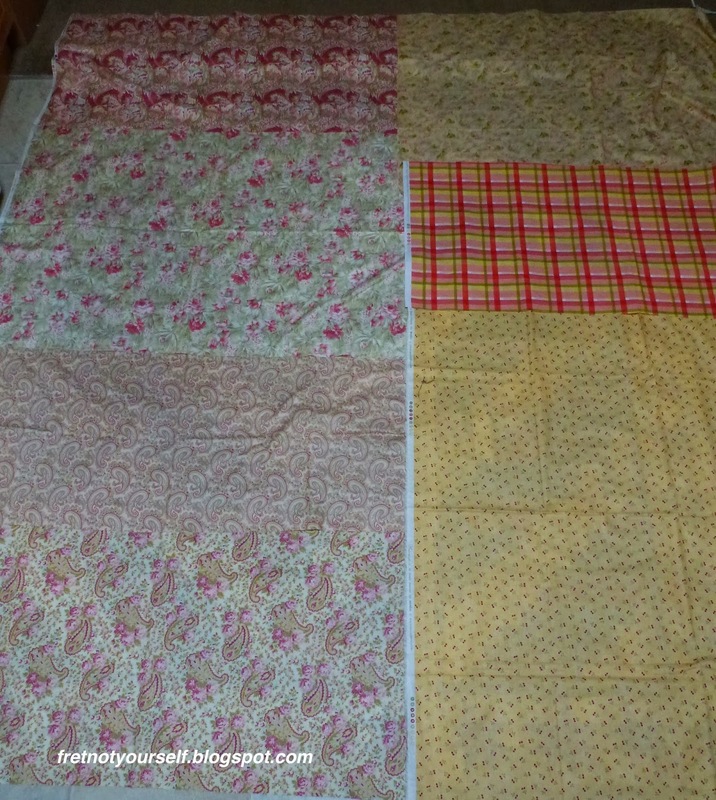 This time I pulled fabrics that have been languishing for quite a while. 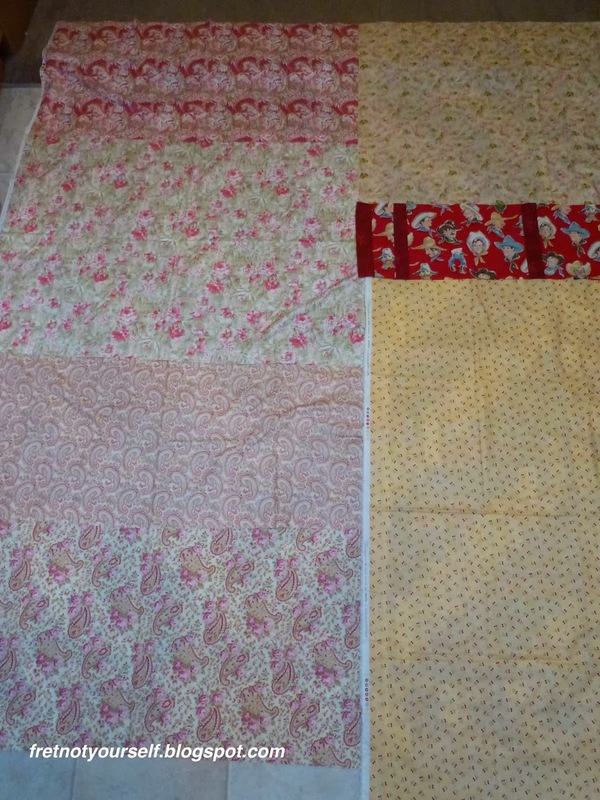 The front has lots of reds, whites and beiges so I first chose soft pinks and beiges for the back. Most are half or quarter yard width-of-fabric (WOF) cuts. 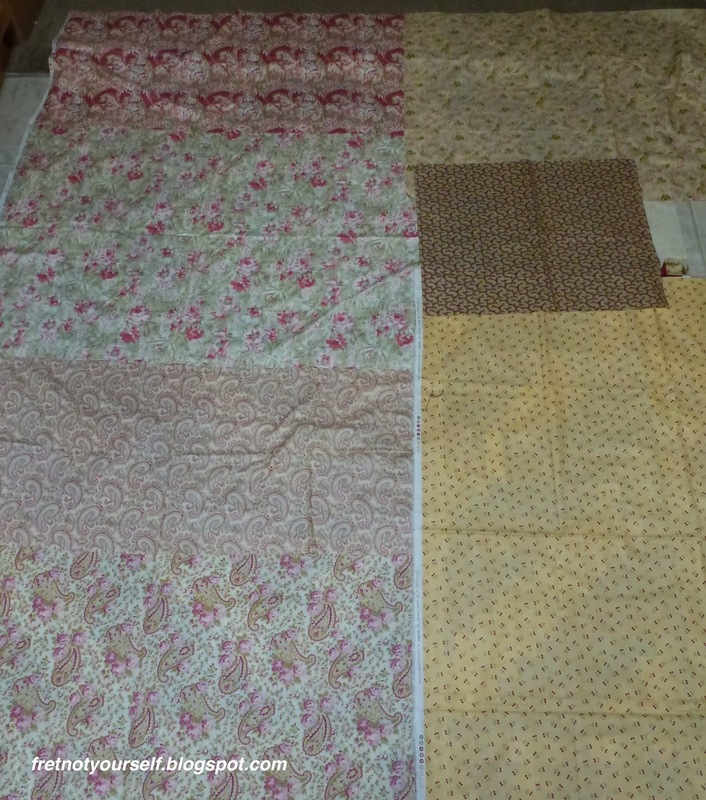 These are laid on the quilt top to ensure there's enough fabric to cover it. But the darkest beige in the first set of fabrics is about five inches too narrow. 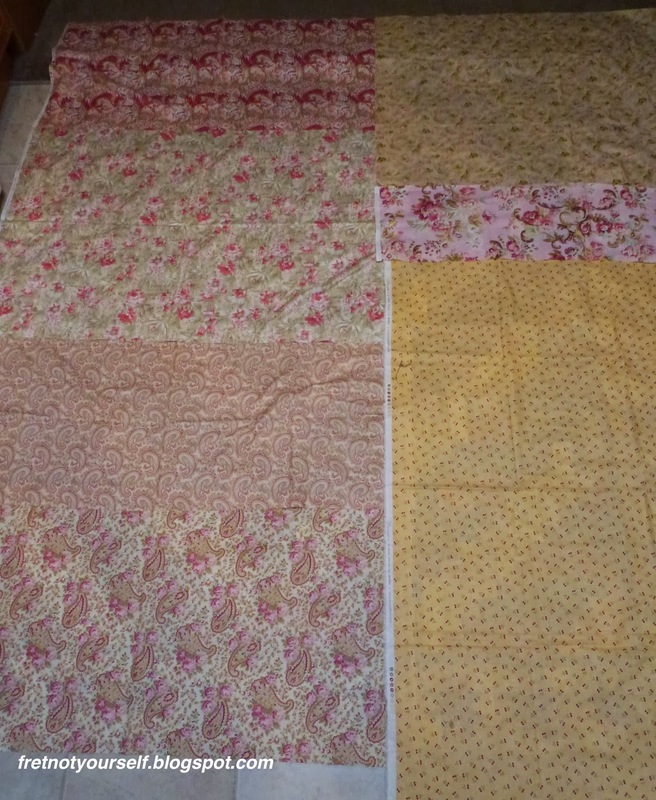 I found a quarter yard of pink floral to replace it. There was also a pink plaid in the stash. Then I remembered a tiny bit of cowboy faces on red. 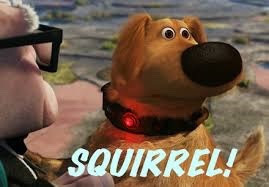 How would that look? I had to piece the fabric with some red strips to make enough for this section. Now the left side of the back is too quiet. I pulled the remaining face fabric - cowgirls this time. Once the layout is finalized I piece it. This one is very easy. Cut the selvedges off. Sew the fabrics into left and right panels and then sew them together. 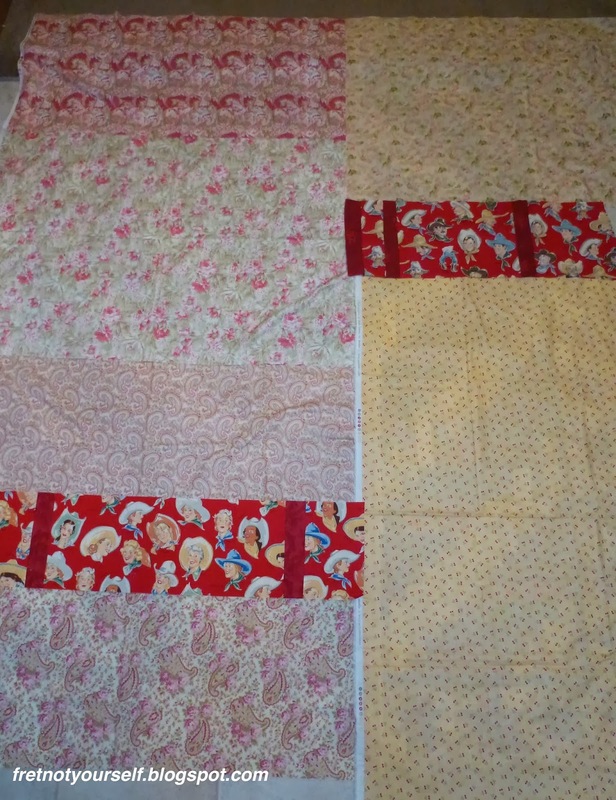 Keep in mind it's easier to baste the quilt sandwich when the back is at least four inches larger than the top. 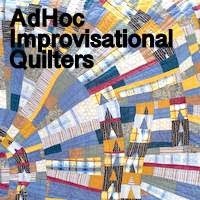 This quilt is about 70 inches wide while the back is 82 inches wide. The extra width will make a skinny strip I can use on a future back.